If you’re reading this blog, you’ve probably seen at least a couple frogs. If not, then don’t hold your breath for the next few months; most amphibians in the Northern Hemisphere are hibernating until spring. When animals hibernate, they cease most bodily activities except for those absolutely necessary to survival. Ectotherms, such as frogs, do this because they are devoting so much energy to staying warm enough to survive that they can achieve little else. 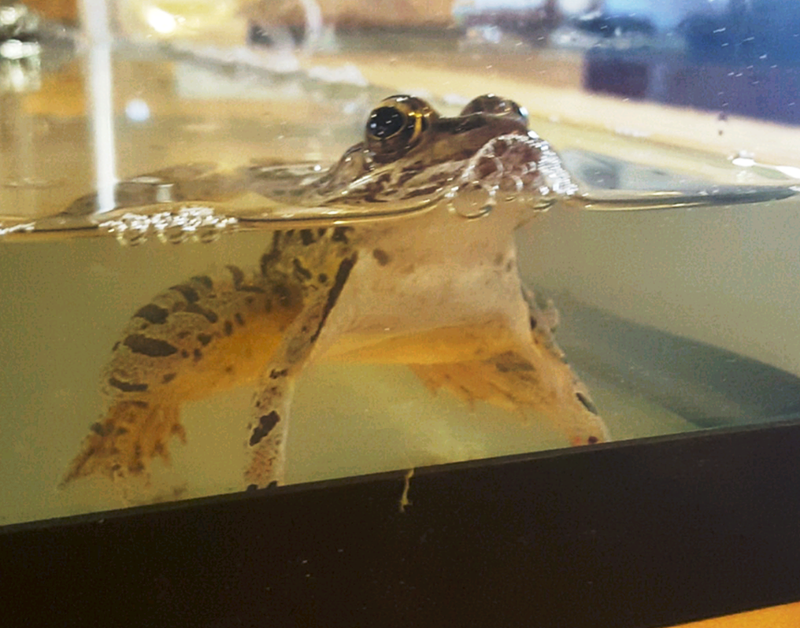 Frogs hibernate in a variety of locations; however, pickerel frogs mainly hibernate under the debris at the bottom of their aquatic habitats. Once spring comes, the frogs awake and begin the process of reproduction. Once a male frog finds a mate, he jumps on the mate’s back, entering the amplexus position. The frogs can stay in the amplexus position for hours or even days, depending on how many eggs the female lays. Once they are finished laying and fertilizing the eggs, the frogs go their separate ways. 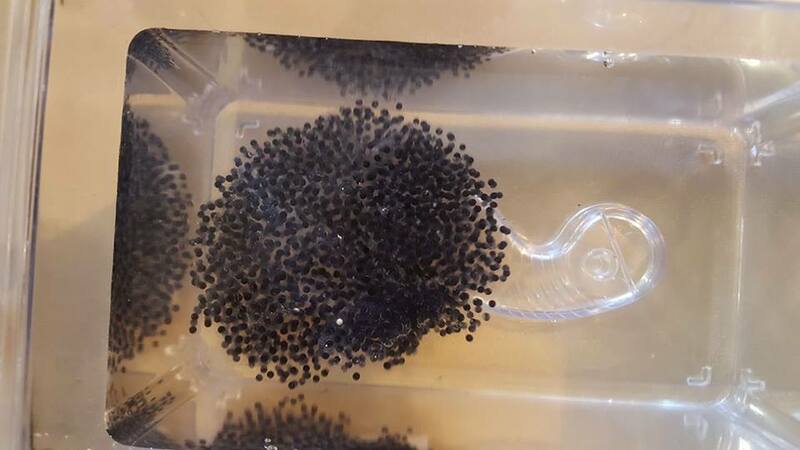 The eggs will grow into a large mass of jelly blobs, out of which small, fish-like creatures called tadpoles will emerge in a few days or weeks. These tadpoles will develop legs and lungs, and lose their tails and gills, becoming fully amphibious. Eventually, they may also make some tadpoles of their own. Pickerel frogs are active from April to October. The frog’s call is reported to sound like a snore. If you see one, be sure to send a picture of it to us on our Friends of the Rappahannock Facebook page. Don’t pick it up, though; pickerel frogs produce a skin secretion that is irritating to human skin and toxic to small animals. However, your chances of seeing a pickerel frog in our area could be decreasing. Pickerel frogs require safe breeding locations and a safe habitat to live in. They often lay eggs in temporary ponds, called vernal pools, which are created by spring rainfall. If the rain is contaminated or acidic, there will be a negative effect on the frogs.